Sorry guys I'm adding a new thread, I know there are several galant threads, but most of them are related to buying information. so I created this to discuss problems related to the Diesel Galants. I have uploaded two pics. 1. First quiz is what is the meaning of symbol mark as A (2nd pic)? 2. As I know my car doesn't hv ABS, so why ABS fuse here...? 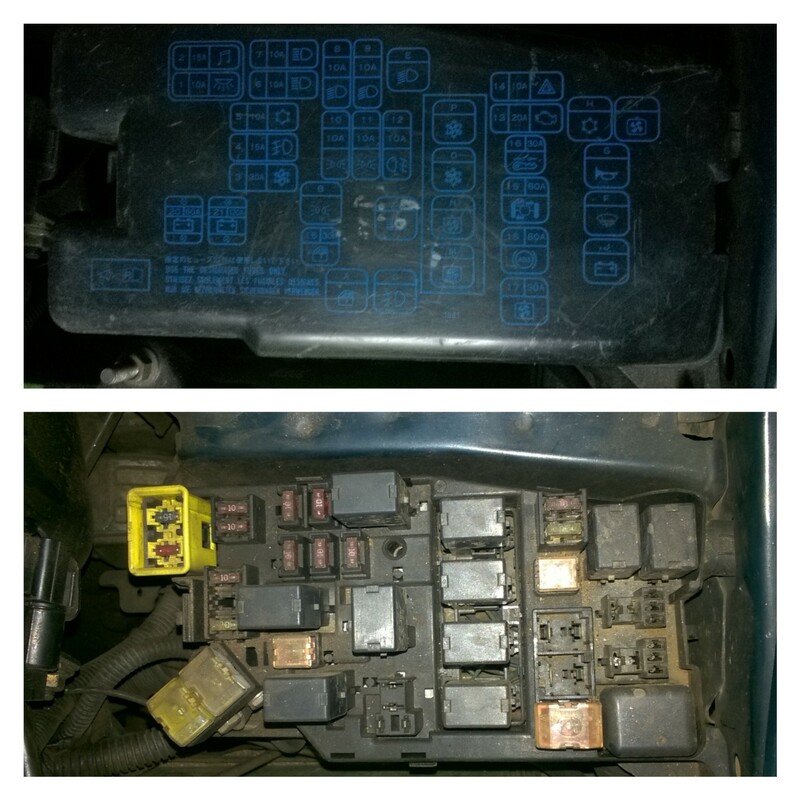 (both pics) Yes fuse is missing in the main fuse box, but in the secondary fuse ABS fuse is still there. Can someone explain is this normal? Glad to have another fellow Galant owner in the forum. 1. The Active Yaw Control fuse. Your car doesn't have AYC, that's why there is no relay in that slot (second picture, slot 19). The slot in the fuse board should be empty as well. As @Sierra Charlie said, this comes only on certain models of the Galant/Legnum that has AWD. 2. Yes your car doesn't have ABS. 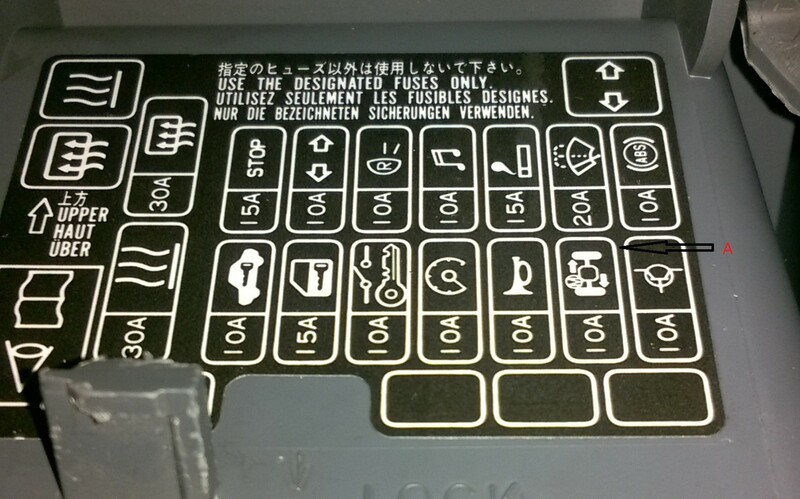 Again, that's why there is no relay in the slot marked as ABS (Slot 18 on engine bay fuse box). The layout diagram is a common one for the model. It's not specific to the options that this particular car has. Slots related to optional equipment unavailable on a particular example are left with no fuse/relay as there is no need for one. Hope this makes sense. Quite a shame that we don't have a VR4 here in Sri Lanka. Strange how we have the (Subaru) B4 but not the VR4. Was the B4 imported by the agent back then or were they imported "reconditioned"? heard you guys are planning to doing a VR4 conversion... wht hapn...? No difference in Engine sound and pulling power, No vibrations, engine runs smoothly.... so i'm pretty sure this related to meter, my question is what would be the possible reason for this issue? and really helpful if anyone can suggest a good place to check and fix this. Check if the belt is tight enough, and not slipping. Next, get an auto electrician to check the alternator,..
is the car starting ok? It is a possibility, yes. Do you park in the hot sun ? Yes, almost everyday 5 -6 hours under direct hot sun... , is there any possibility to repair faulty speedo clusters?